While there is some excitement about the 2013 vintage in the Yarra I’m yet to be convinced by the consistency – some good wines, sure, but that warmth has produced largesse without the usual delicacy. This Pinot is a good case in point. 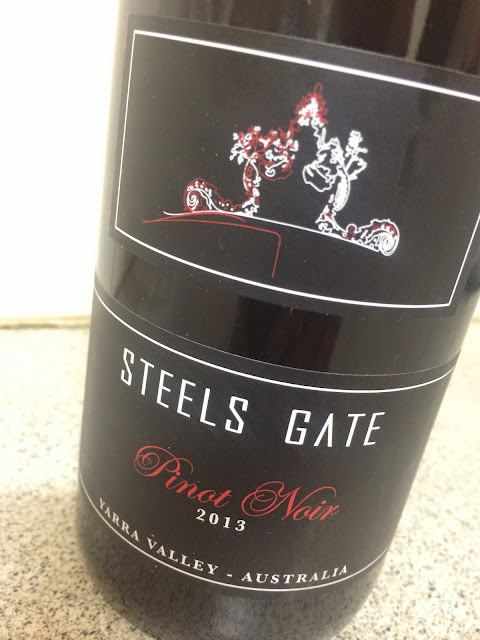 The early Steels Gate wines have all been impressive (a label to watch), yet this just seems a bit big. Dark red colours (rather than the ruby of last year); ripe, rippling lush red fruit and some of the bacon bit and rare roast beef ripeness seen in Pinot from much warmer sites, complete with a little alcohol burn. This is still a good Pinot, yet this is just not in the same league as the pretty 2012. Drink soonish.